“Don't let me forget/ your hand in mine, the firefly drives/ the time I fell asleep and you carried me inside/ kissed my head and said goodnight/ when we were sparks, just the start/ our naive hearts had never felt that kinda fire/ that you and I were playing with.” - Don't Let Me Forget - Catherine McGrath-Forest Glen Whitehead-Adam Hambrick. 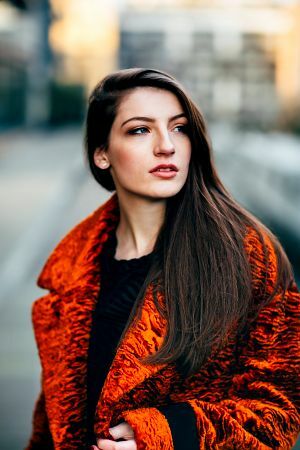 It was a case of déjà vu for Irish singer-songwriter Catherine McGrath - she was discovered as a teenager by Sir Elton John who also nurtured another Catherine as a teen. Novocastrian Catherine Britt was just 20 when she recorded a duet with Sir Elton on Where We Both Say Goodbye - a top 40 single. 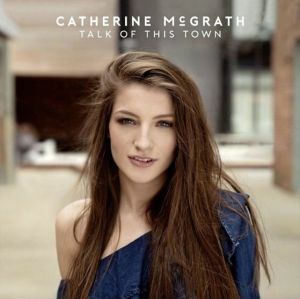 But McGrath's duet on debut album Talk of This Town was with another former child prodigy - Louisiana singing actor Hunter Hayes. Catherine, just 21, promoted that duet Don't Let Me Forget and her album on her September Australian tour with another Novocastrian Morgan Evans. McGrath, raised on traditional music in tiny Northern Ireland fishing village Rostrevor, was ideal duet partner for Hayes, now 28, whom she met at a Country 2 Country festival in England. Octogenarian singing actor and movie director Robert Duvall, now 87, gave Hayes his first guitar at the age of six when he cast him in 1997 film The Apostle with Billy Bob Thornton, Billy Joe Shaver, Farrah Fawcett, Miranda Richardson and the late June Carter Cash. A year later he performed for former U.S. President Bill Clinton at a White House lawn party so he was a natural actor in the video for the McGrath-Hayes single. “So we actually shot it over in Nashville which was really cool,” revealed McGrath whose hometown inspired C.S. Lewis's Chronicles of Narnia, and was a backdrop for several episodes of Game of Thrones. Hayes acting inspired McGrath - he was a child star in movies Figure It Out, My Dog Skip and Charley's War and appeared in 2016 movie Bella and the Bulldogs. The multi-instrumentalist is proficient on 30 instruments, has released three albums, five indie discs, a live EP and played guitar on Listen To The Music featuring Oklahoma star Blake Shelton on the Doobie Brothers tribute disc Southbound . McGrath was just 18 when she wrote with expatriate Australian Phil Barton - frequent collaborator with Kirsty Lee Akers - and Liz Rose on her song Cinderella on the first of her eight trips to Nashville. “It was a special moment for me as I went there on holidays and didn't expect to get a song out of it,” Catherine recalled. “Tough growing up/ when they shoot you down/ but I knew someday someway/ it was all about just getting out/ then I turned eighteen/ said I'm gonna sing /packed my bags and they laughed/ said you'll never be anything/ well, talk of the town/ that's what I am now.” - Talk Of This Town - Catherine McGrath-Rachel Furner-Steve Robson-Jeffrey Steele. McGrath wrote most of her album in Nashville with musicians diverse as producer Steve Robson, Lindy Robbins and Jeffrey Steele - co-founder of Boy Howdy . McGrath used a collage of hometown images of family and friends in her Talk Of This Town video. “A lot of it was filmed in Ireland, me hanging out with my friends and family and some of at shows in London,” she explained. It began in rural fishing village Rostrevor where she performed as a child at her parents' Fiddler's Green festival - with musicians from North America and Germany. “There's mountains on one side and sea on the other,” McGrath explained. “But if I dodged a bullet / why am I still hurting? / I know you're a lost cause/ so why am I still searching? / if I made a getaway why do I still feel the pain?/ You still haunt me, you still have me and you shouldn't/ if I dodged a bullet.” - Dodged A Bullet - Catherine McGrath-Iain Archer. McGrath wrote Dodged A Bullet - a love song replete with military metaphor - in Belfast with Irish musician Iain Archer who has worked with Snow Patrol and Bangor . “That was the last song we wrote for the album,” McGrath revealed. That album inspired Catherine's Australian tour with Novocastrian Morgan Evans who released his second album Things That We Drink To on October 12. The album includes Evans singles Day Drunk, Kiss Somebody, American, I Do and Young Again . McGrath is a huge fan of Evans, 33, and his Tennessean singing spouse Kelsea Ballerini, 25, whom he met at CMC Rocks Queensland . “I would love to write with Morgan over in Nashville,” McGrath revealed. “It was a Coldplay concert on a Thursday night/ you had a spare ticket/ cause your girlfriend cheated and broke your heart/ and you took it hard/ I knew that it was far too soon to call it a date/ but you took my hand and I swear something changed/ cause I felt the spark/ but she still had your heart.” - Wild - Catherine McGrath-Steve Robson- Lindy Robbins-Jeffrey Steele. She turned a Coldplay concert chill into a warm reprise in her vitriolic tune Wild. “I wrote that the day after the Coldplay concert,” revealed McGrath who filmed her video around iconic Nashville landmarks like Printers Alley. “I remember I was feeling ruptured about the whole thing. The song worked out cool telling the story exactly how it was. I remember finishing the song and loving it but wishing I didn't love it so much as I was going to hear it at every concert. It was the favourite for every one off the album so I'm glad we wrote it. The song source may have been painful but not filming the video. “We got to film it in Nashville, which was the coolest part of it for me, because I love it there,” McGrath said. McGrath wants to return to Australia on a longer tour that would enable her to film videos with our wildlife and locales. “I would love to do a video in Australia,” Catherine revealed. Well, there's Tamworth, CMC Rocks Queensland and Rostrevor's sibling fishing village Port Fairy on Victoria's Shipwreck Coast . And, of course, she has Sir Elton as her co-manager. Talk Of This Town was released by Warner Music on July 27.